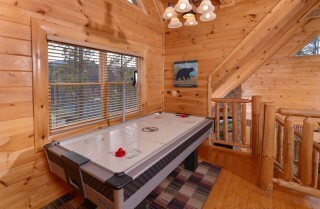 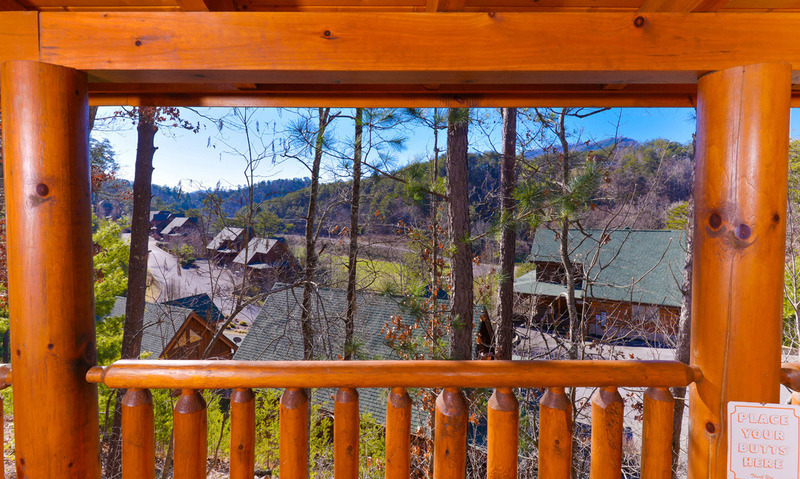 Find everything on your family’s “cabin must-haves” list—including game tables, pool access, mountain views, and a short drive to Pigeon Forge—at Simply Amazing! 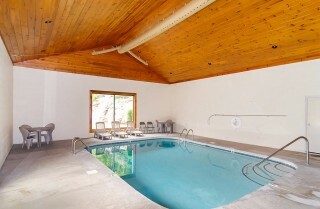 Located less than 5 miles from downtown in the luxurious Bear Creek Crossing Resort, this cabin already provides community access to indoor and outdoor pools. 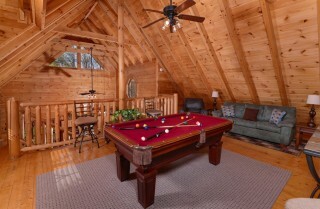 And that’s all before you get to the cabin! 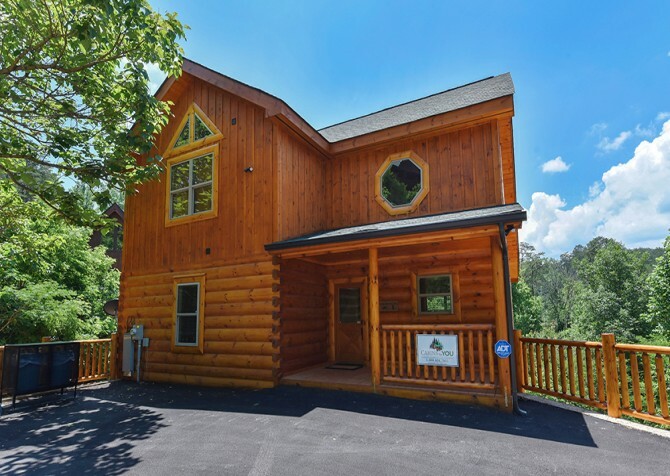 Inside Simply Amazing itself, you’ll enjoy an updated but comfortable layout with high ceilings, tons of natural light, and modern furnishings. 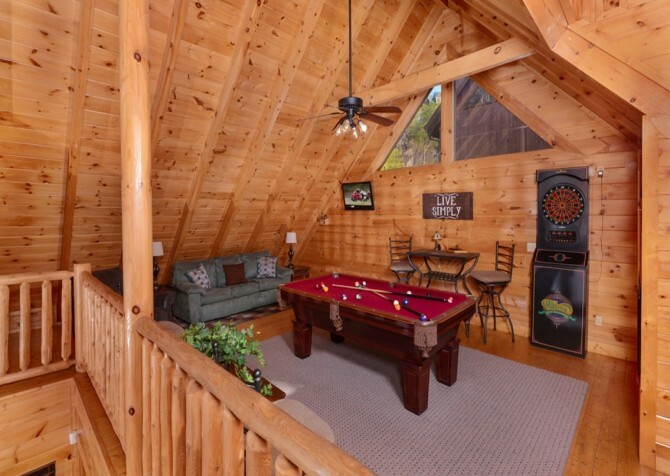 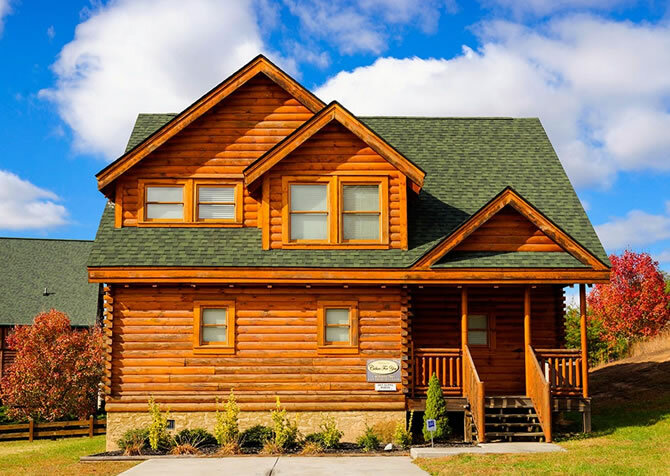 This Pigeon Forge cabin’s long list of amenities includes stainless steel appliances in the kitchen, multiple game tables in the rec room, and 2 bedrooms with king-size beds and their own TVs. 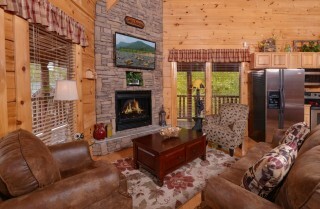 The living room also provides a big screen TV for family movie night during your Smoky Mountain stay. 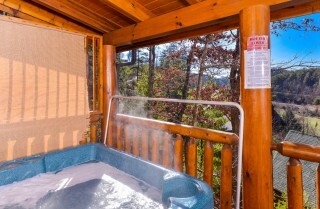 Besides all this, Simply Amazing provides an outdoor hot tub, a rocking chair porch, and distant mountain views. 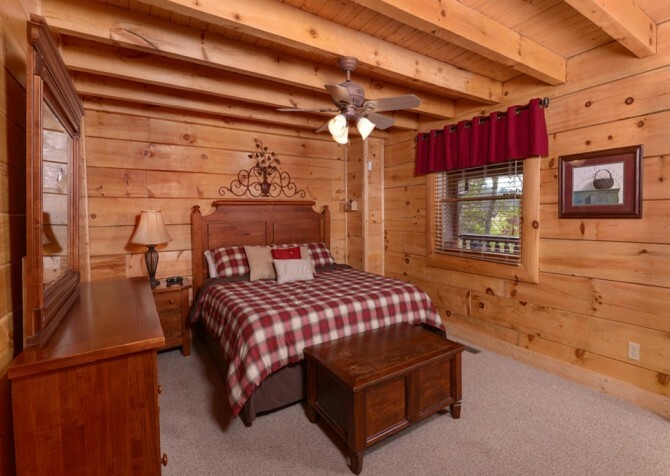 If you’re planning a Pigeon Forge vacation with 6 guests or less, Simply Amazing is an easy choice thanks to its perfect blend of comfort, convenience, and fun! The downtown arcades and go-kart tracks in Pigeon Forge provide hours of family fun just miles down the road from Simply Amazing. 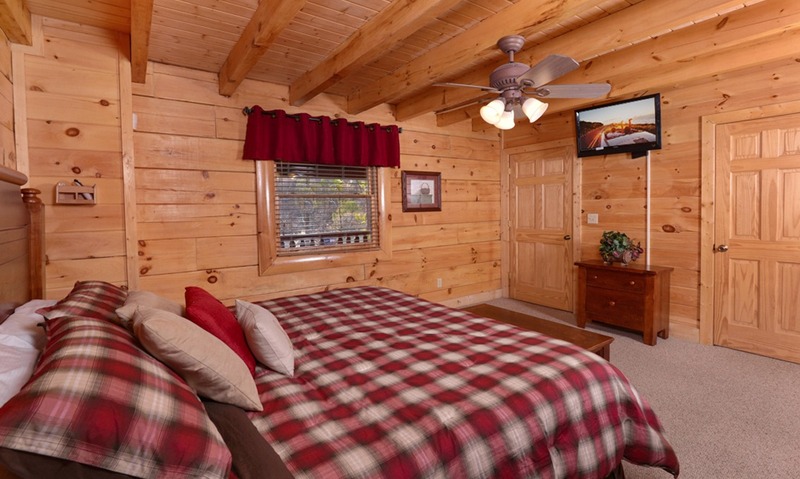 Be sure to check out attractions like The Track during your stay, but when you’re ready to unwind, all you need to do is head to the main floor of this cabin. 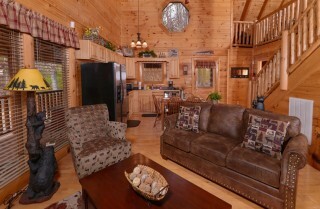 Here you’ll find its spacious and cozy living room. The stacked stone (electric) fireplace stands as the focal point of this space. 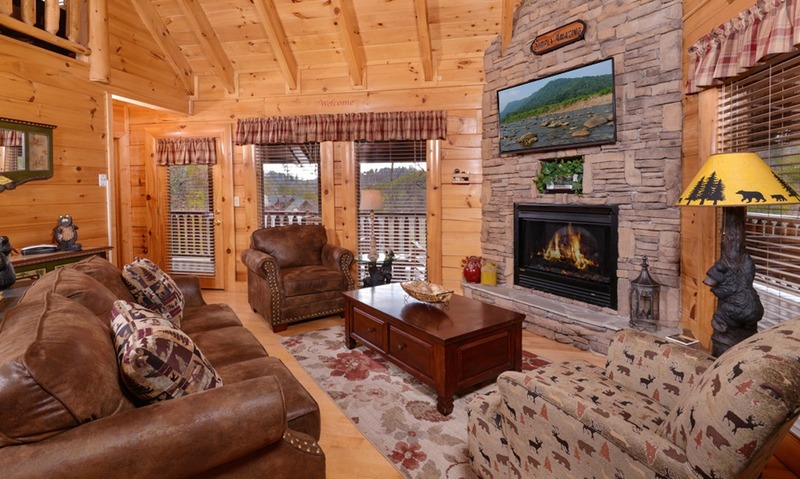 Plan to snuggle up in front of the fire on a chilly winter evening while watching holiday classics like “It’s a Wonderful Life” on the big screen TV. 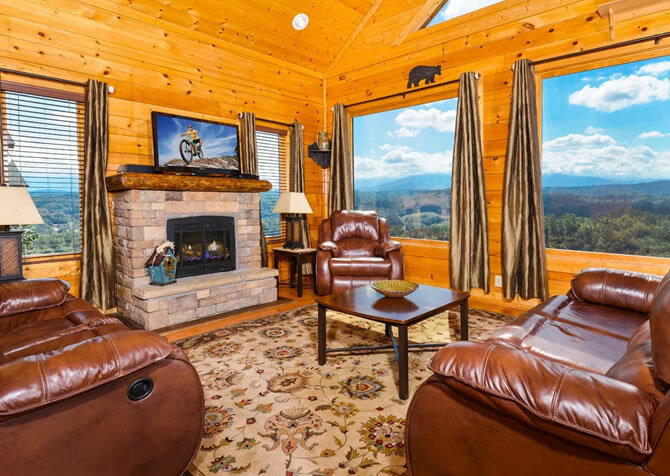 Throughout the summer, enjoy the natural light that spills in from the large windows surrounding the living room while you relax with a glass of iced tea on the full-size couch. Or grab a magazine and relax on the plush armchair provided by Simply Amazing. Other convenient furnishings inside the living room include a large coffee table, reading lamps, and side tables. All are accented by classy décor that adds modern-day appeal to log cabin living. 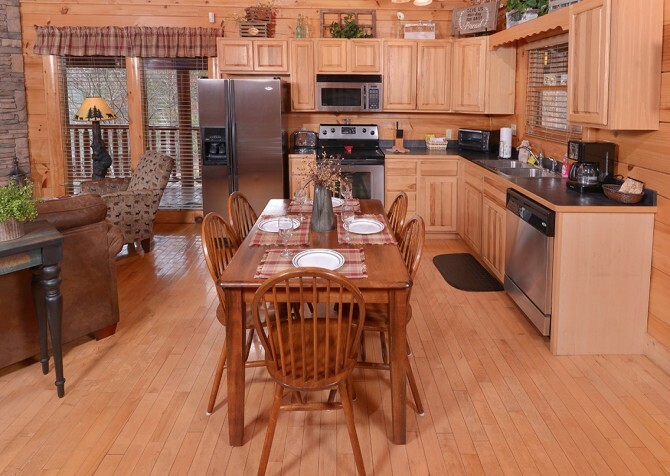 If you’re wondering why you should rent a cabin for your family’s visit to the Smokies, here’s one really good reason: you’ll have access to a full-size kitchen! And not only is the L-shaped kitchen inside Simply Amazing fully equipped, but it’s also beautifully designed. 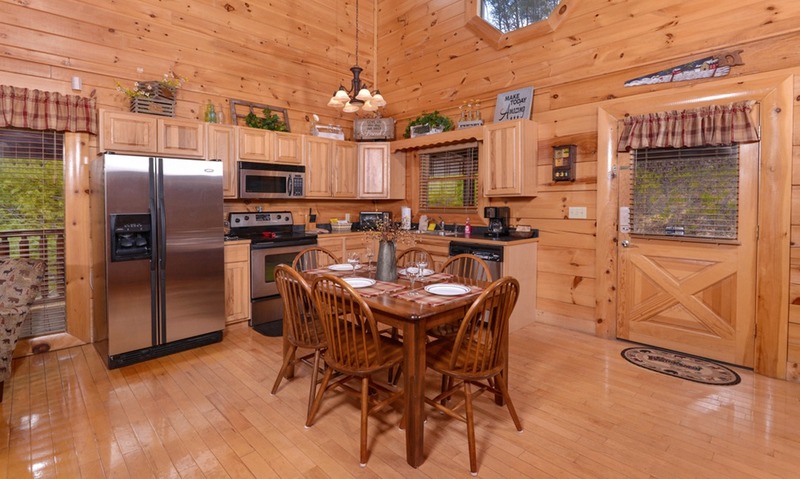 With oak-hued cabinets, dark countertops, and stainless steel appliances, this kitchen is sure to be a favorite space for all your guests. 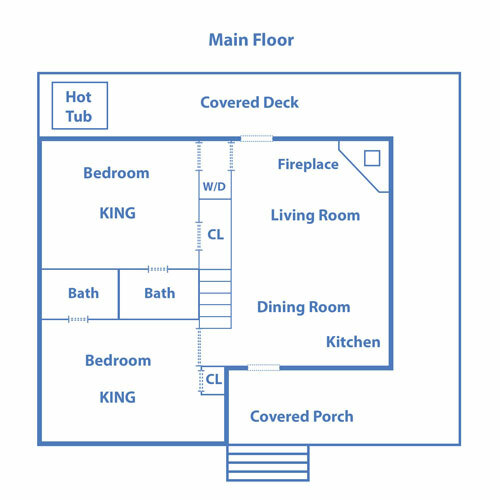 Use the coffeemaker to make a steaming cup of Joe in the mornings, or add some fun to your evenings with a fresh-blended cocktail. Other appliances conveniently supplied by Simply Amazing include a toaster oven, electric can opener, and microwave. 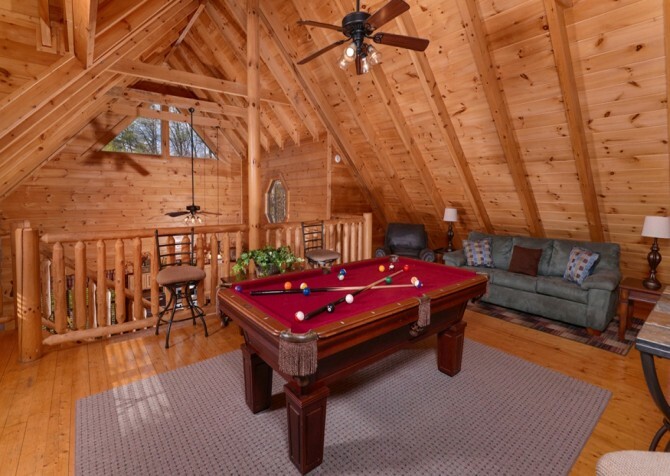 Whether you’re planning casual family dinners, a table of snacks for game day fun, or a 4-course meal for a special occasion, Simply Amazing has everything you need. At Simply Amazing, you can either make your homemade meals yourself, or you can check out our range of vacation packages, including romantic dinners for 2; let us do the hard work for you. Either way, you’ll need access to a spacious dining table like the one supplied by this cabin. With room for all 6 of you, this dining table will comfortably fit even the largest group of guests that Simply Amazing can accommodate. Use it to share a peaceful meal, to play cards in the evenings, or to share an after-dinner dessert tray and bottle of wine from the Mountain Valley Winery in Pigeon Forge. 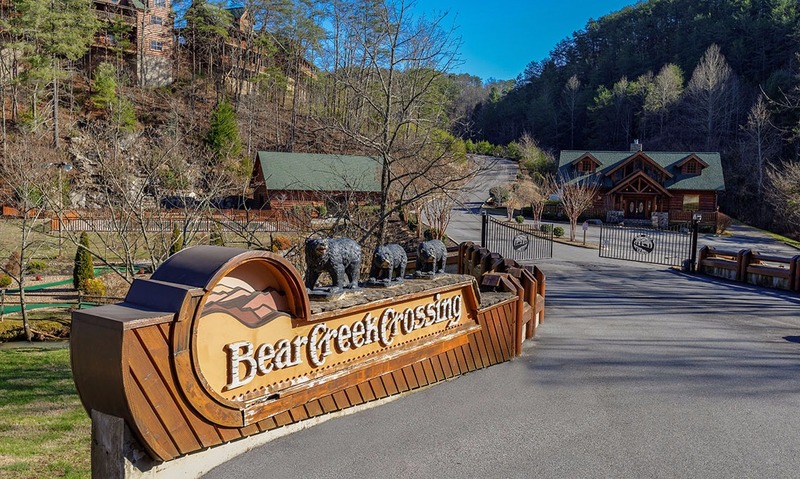 For daytime fun during your stay at Simply Amazing, be sure to check out the go-kart tracks, arcades, laser tag arenas, and mini golf courses in downtown Pigeon Forge. 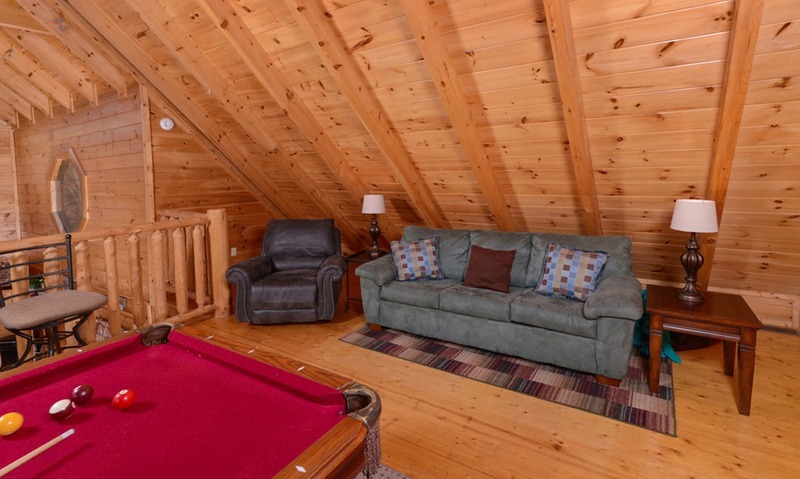 But don’t forget that at the top of stairs inside this cabin you’ll find your very own space for hours of indoor fun: Simply Amazing’s rec room! 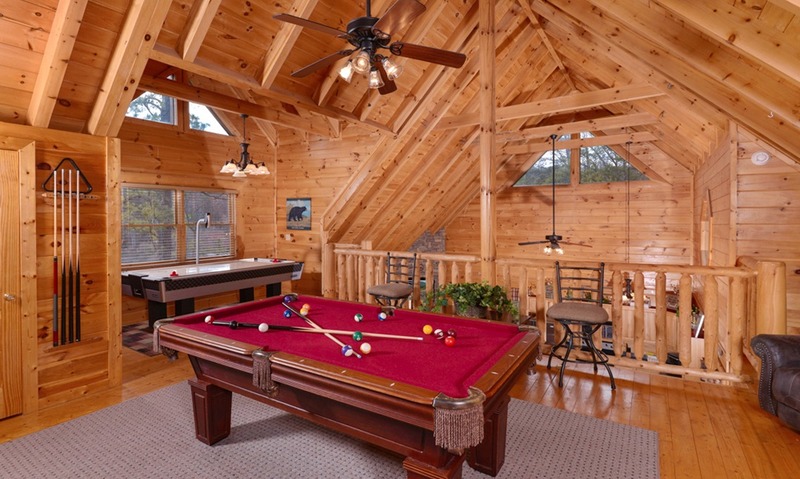 A pool table stands at the center of this space, and it’s surrounded by a dart board, a small table for games or cards, and a flatscreen TV. You’ll also find an air hockey table and a comfortable couch for afternoon catnaps or relaxing between shots at the pool table. Simply Amazing is designed for up to 6 guests with its 2 bedrooms, 2 bathrooms, and an extra sleeper. 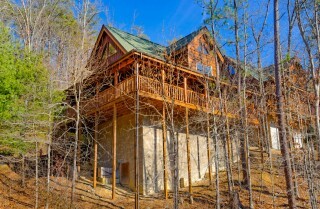 Both bedrooms can be found on the main floor of this Pigeon Forge cabin, and both feature king-size beds and their own TVs. The master suite also provides an indoor jetted tub, which is the perfect way to relax in the evenings after Smoky Mountain fun like horseback riding through the mountains. Enjoy traditional wood furniture, luxurious bedding, large windows, and all your bedroom essentials inside Simply Amazing. 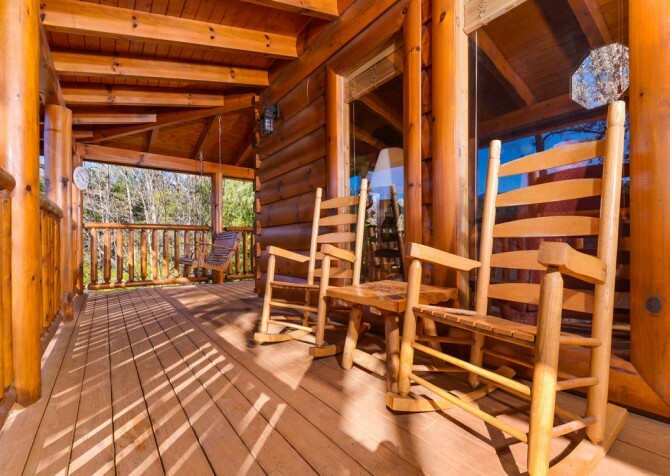 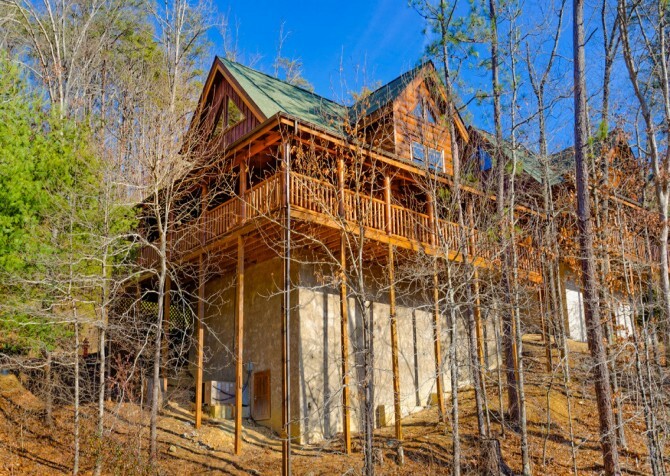 Built on a hill, Simply Amazing stands above several other cabins to offer distant Smoky Mountain views right from your rocking chair porch. Grab a mug of something warm and enjoy these views when the leaves are off the trees in the wintertime. 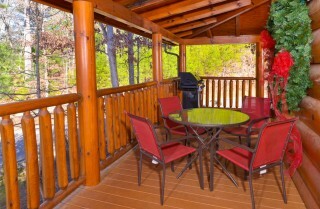 Or enjoy the changing colors of the trees in the fall. 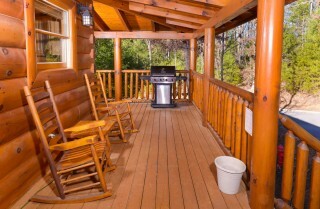 Simply Amazing offers several rocking chairs, a swinging bench, and an outdoor hot tub for your enjoyment during your stay. 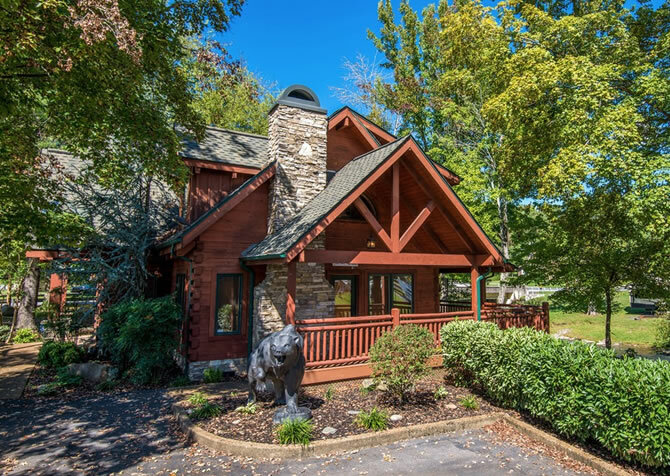 If this year’s visit to Pigeon Forge is all about catching up on R&R after busy work weeks and a stressful school year, then be sure to spend some quiet time in the great outdoors at Simply Amazing! 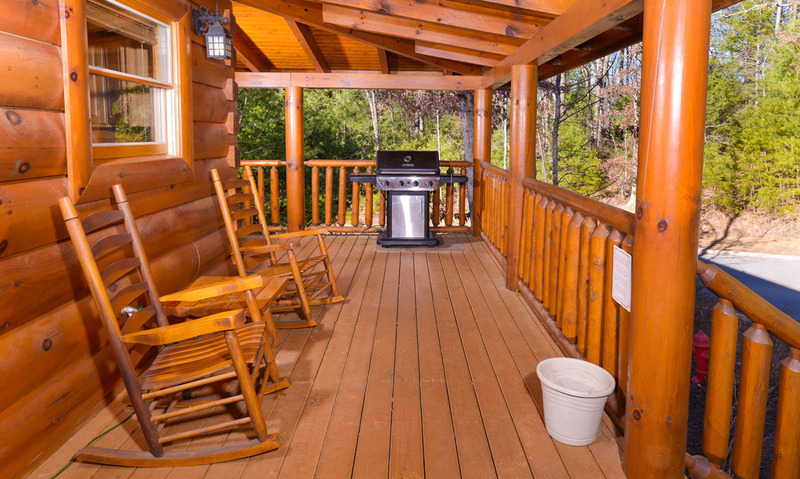 For your convenience, Simply Amazing also offers high speed wireless; a flat, paved driveway, a big screen TV, a hair dryer, and a patio table and gas grill for 4th of July barbecues in the Smokies. 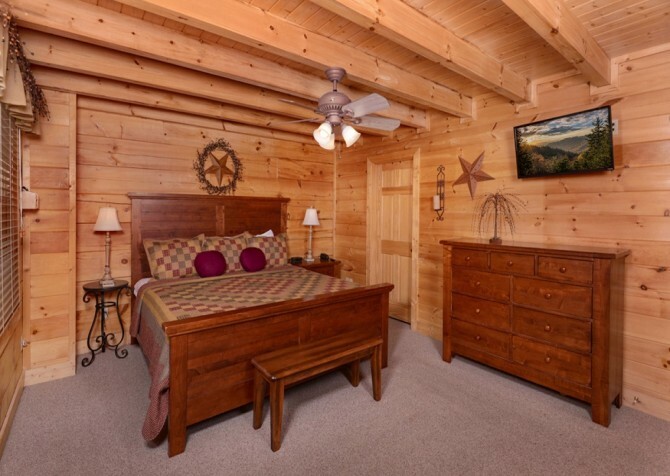 You’ll feel right at home in this fully equipped cabin in the mountains of Pigeon Forge. 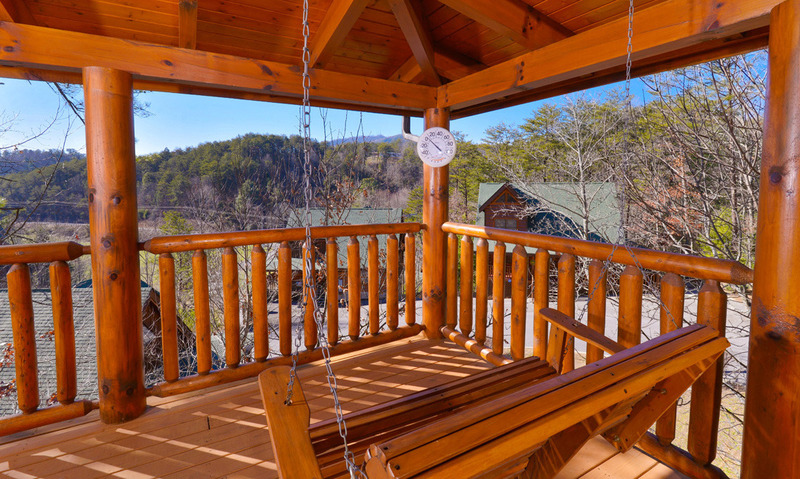 Catch views of the Smoky Mountains from 200 feet in the air on this giant Ferris wheel in the heart of Pigeon Forge. 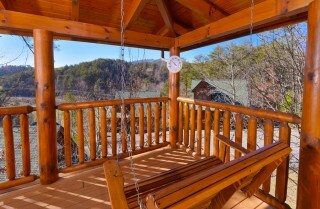 Test your skills and get a thrill from high above at this challenging ropes course with fun options for every age. Up to 8 people can play this game of wits and riddles, where you work together to escape! 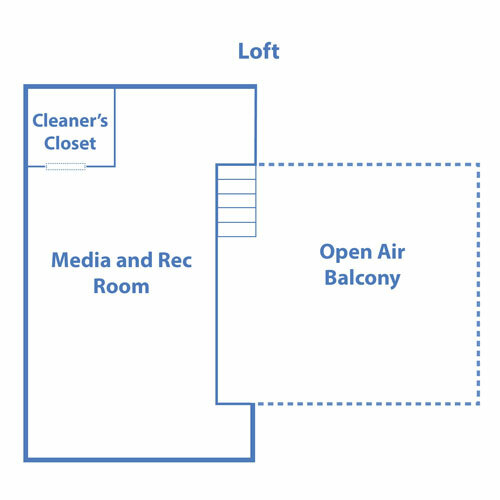 You’ll have 1 hour to solve riddles, pick apart puzzles, and search for clues to break out of prison, stop an art heist, and more! 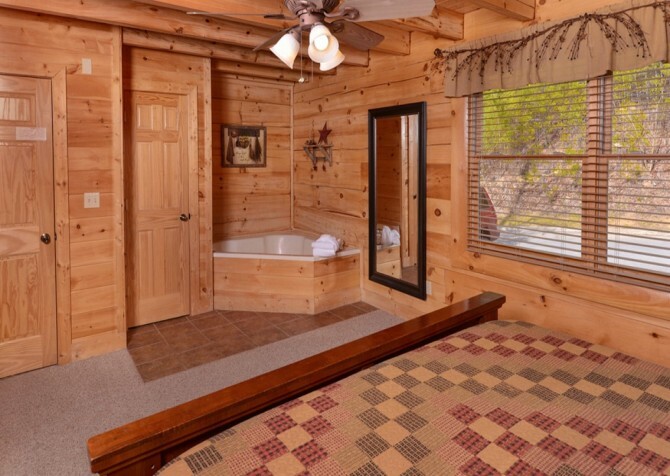 "This was a beautiful cabin with beautiful scenery and close to everything." Thank you so much for the review! We are so happy to hear you enjoyed Simply Amazing's scenery and location! "the cabin was perfect, beautifully decorated, we had everything we needed.Geat location to everything. the pool is a plus, even though we didn"t have time to use it. 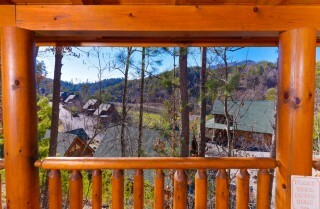 I will be staying in these cabins again,hopefully longer than three days next time.Oh and you couldn"t beat the price." 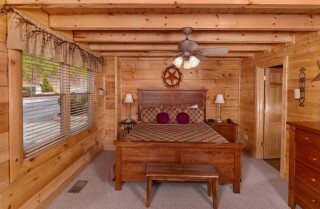 Thank you so much for he great review! We are so glad to hear that you loved the location as well as the cabin! 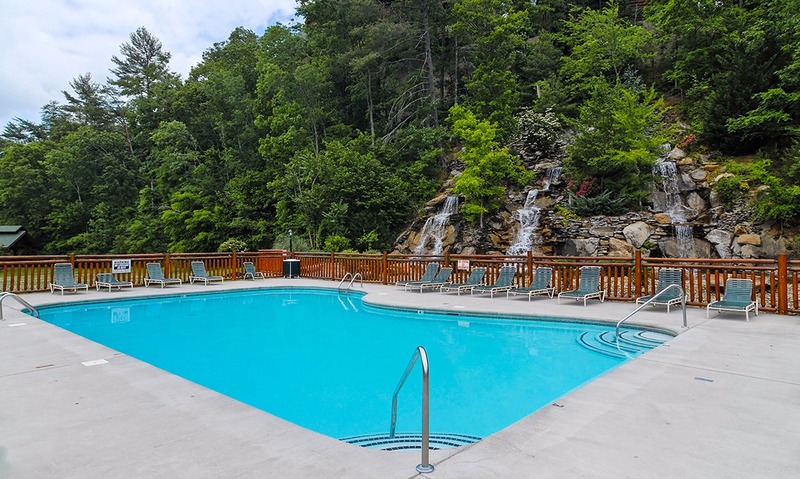 We can not wait to have you stay with us again!